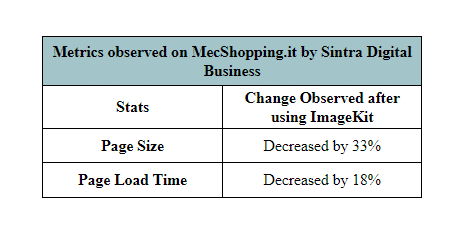 With the help of ImageKit's automatic image optimization and transformation solutions, Sintra Digital Business has improved the page load time by 18% and page size by 33% of its clients' websites. "Our main objective to use ImageKit is to reduce the image size and improve the page load time. With the help of ImageKit's real-time resizing and image transformation solutions, we have improved our clients' websites load time and page size significantly. The ImageKit team was very supportive and helped us during the integration"
Sintra Digital Business is an Italian web agency with more than 4000 B2C customers and 200 B2B customers. It provides a wide range of web solutions including eCommerce, digital marketing, UX/ web design, and web portals. Sintra Digital Business is known for its quality and innovation. It houses a professional team of Magento, web design, web marketing, and enterprise solutions. Some of the customers of Sintra Digital Business are Visit Trentino, Busitalia, Enrico Coveri, MEC Shopping, etc. To ensure a super-fast page loading by optimizing website images, Sintra Digital Business started using ImageKit.io in November 2017. And with the help of real-time image optimization and image transformation solutions, they have been able to improve the page load speed of their clients’ websites. Managing such a large number of customers functioning in different domains needs sheer dedication and skills. Sintra Digital Business is committed to develop and deploy robust solutions for their clients to provide excellent results. Most of its clients are e-Commerce portals and have heavy use of visuals, either as product pictures or promotional banners. Sintra was already using a CDN to deliver the images. However, to take the performance of their clients’ websites up to a notch and improve the page load times, they were looking to optimize the image size on these websites further and improve their delivery times. This optimization was to be done without compromising on the visual quality of the images as any reduction in image quality would have a negative impact on the customer experience and sales. Given there were a lot of existing images to be optimized, along with a complex infrastructure to handle them, any new change was to be done with minimal modification to the existing infrastructure. Usually, images on a Magento website are either stored directly on the web server or in a storage bucket such as AWS S3. To ensure image optimization without having to move existing images elsewhere or making any significant changes to the storage infrastructure, it was ideal to use a solution that can directly connect with these two storages. ImageKit.io provides direct integration with both, AWS S3 and web servers for image optimization and transformation. There is an option to attach one or multiple S3 buckets and web servers with ImageKit just like any other CDN and get real-time optimization, resizing and transformation capabilities on these existing images immediately. When an image in these storages is accessed via ImageKit URLs, the output image is automatically optimized based on user’s device capabilities, image content, and format and resized & transformed based on the parameters specified in the image URL. Sintra decided to use ImageKit.io on one of their clients’ website. This particular website had stored the images on the web server itself. Integration on this Magento website was completed in two steps. The first step involved switching the delivery of all the images from the existing CDN to the CDN provided along with ImageKit. This small step alone optimized the image size on delivery. The next step was to move away from the image resizing and cropping provided by Magento and switch to ImageKit’s real-time URL-based resizing parameters. Doing this provided more flexibility and control on the quality and dimensions of product images. Sintra was able to complete integration of ImageKit including optimization and resizing on their client’s test website in a matter of a few hours. It involved switching to ImageKit’s CDN for image optimization and making relevant changes to the website’s template to switch to ImageKit’s resizing and transformation. It was that simple. 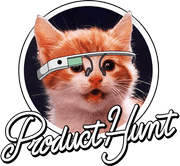 The website was then thoroughly tested for performance by internal quality teams using industry standard tools like Google’s PageSpeed Insights and GTMetrix. The visual image quality too was examined by the quality team. The changes were made live after a full-day of testing. During this entire process, ImageKit’s support team assisted the team at Sintra to make the integration process simpler and answered all queries that came up during the process. The primary objective of Sintra Digital Business was to implement a robust image optimization and manipulation solution for its clients, which can help them improve their website loading time and make it lighter for the end users. The page load time has reduced by 18% while the page size has gone down by 33%. The lighter and snappier website has been received very well by the users of MecShopping. Also, the image quality has remained top-notch, as confirmed by the client, and by its end users. Following the improvements observed on one website, Sintra Digital Business and ImageKit.io together will be rolling out the solution to other sites as well in the future.